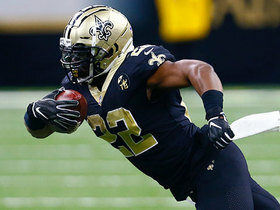 General manager Jason Licht suggested Godwin could spend time in the slot this upcoming season, Greg Auman of The Athletic reports. "I'm not saying [Godwin]'s Larry Fitzgerald by any means yet," Licht said Monday. "But play the role like Larry did in Arizona. That made (Humphries) a little easier to swallow." 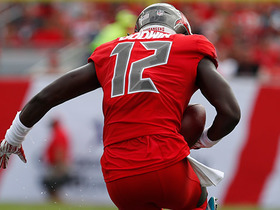 Godwin could see a major boost in potential usage and fantasy upside with the trade of DeSean Jackson to the Eagles and the departure of Adam Humphries to the Titans. 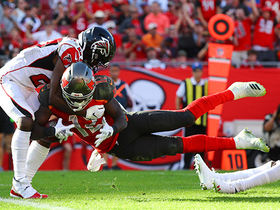 Godwin brought in six of nine targets for 114 yards with two touchdowns in the Buccaneers' 34-32 loss to the Falcons on Sunday. Godwin is expected to be featured regularly in three-receiver formations Sunday against the Falcons with DeSean Jackson (Achilles) inactive, Greg Auman of The Athletic reports. Godwin brought in three of six targets for 39 yards in the Buccaneers' 27-20 loss to the Cowboys on Sunday. Godwin will return to splitting No. 3 receiver duties with Adam Humphries in Week 16 against the Cowboys with DeSean Jackson (thumb) active for the contest. Analysis: Godwin uncharacteristically came up short, and woefully so at that, as the No. 2 wideout over the last two games, bringing in just one of 13 targets for 13 yards during that pair of contests. A return toward his more familiar role might potentially serve to boost his production, although it's worth noting the Cowboys defense comes into Sunday's contest allowing the eighth-fewest passing yards (224.0) per game. Godwin failed to come up with any of his three targets in the Buccaneers' 20-12 loss to the Ravens on Sunday. Analysis: The second-year wideout was trying to bounce back from hauling in just one of 10 targets in Week 14, but he instead came up empty on the stat sheet for only the second time in his professional career. Godwin's minimal production over the last pair of contests is especially disappointing considering it's come with DeSean Jackson (thumb) sidelined and Godwin therefore operating as a starting receiver. He'll look to put the two-game nightmare behind him versus the Cowboys in Week 16. Godwin brought in just one of 10 targets for 13 yards in the Buccaneers' 28-14 loss to the Saints on Sunday. He also fumbled once, but it was recovered by the offense. Godwin caught five of six targets for 101 yards and a touchdown during Sunday's 24-17 win over the Panthers. Analysis: Godwin tied for second on the team in targets while leading the way in receiving yardage. He displayed his big-play ability with a long gain of 48 yards and added a 13-yard touchdown catch in the second quarter. Godwin enjoyed a larger share of the targets with DeSean Jackson (thumb) sidelined, and he could maintain an elevated role in Week 14 against the Saints if his teammate remains out. Godwin and Adam Humphries are expected to benefit the most from additional snaps and targets with DeSean Jackson (thumb) ruled out for Sunday's game against the Panthers, Greg Auman of The Athletic reports. 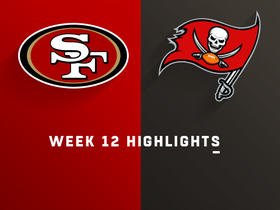 Godwin brought in all four of his targets for 42 yards in the Buccaneers' 27-9 win over the 49ers on Sunday. 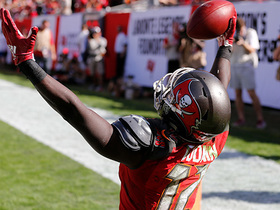 Godwin brought in all three of his targets for 50 yards in the Buccaneers' 38-35 loss to the Giants on Sunday. Analysis: Godwin didn't seem hampered by the ankle injury he'd nursed during the practice week, although he fell more than halfway short of the season-best 103 yards he'd logged against the Redskins in Week 10. The second-year pro has been serviceable as a secondary option with at least 50 receiving yards in four of the last six contests, but he's now failed to reach the end zone in five straight games. He'll look to up his numbers in a favorable Week 12 matchup against the 49ers. 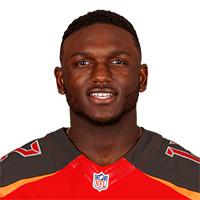 Godwin (ankle) is active for Sunday's game against the Giants, Scott Smith of the Buccaneers' official site reports. Analysis: The second-year wideout was trending in the right direction when he completed a full practice Friday, and his active status is now confirmed. Godwin will split No. 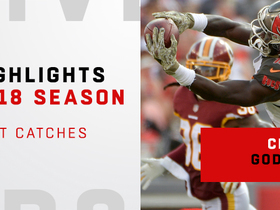 3 receiver duties with Adam Humphries as usual and attempt to build on the season-best 7-103-0 line he posted against the Redskins in Week 10. Godwin (ankle), who is listed as questionable for Sunday's game against the Giants, is expected to play, Ian Rapoport of NFL Network reports. Analysis: Despite carrying the questionable tag into the weekend, Godwin always seemed to be trending toward suiting up after he turned in a full practice Friday. Godwin's status will be officially confirmed when the Buccaneers release their inactive list approximately 90 minutes prior to Sunday's 1 p.m. EST kickoff, but it looks like those planning on using the wideout in fantasy lineups can feel comfortable doing so. Godwin (ankle) is listed as questionable for Sunday's game against the Giants after logging a full practice session Friday, Greg Auman of The Athletic reports. Godwin (ankle) took part in practice drills Friday, Eduardo A. Encina of the Tampa Bay Times reports. Analysis: It won't be clear until after practice how much Godwin was able to do, but it's a good sign that he was able to get some work in after sitting out the previous two days. His status for the Week 11 matchup with the Giants will be revealed when the Buccaneers' final injury report of the week is released later Friday. Godwin (ankle) didn't participate in Thursday's practice, Carmen Vitali of the Buccaneers' official site reports. Analysis: Godwin has now missed back-to-back sessions with the ankle issue, which he likely sustained during Sunday's 16-3 loss to the Redskins. The second-year wideout posted season highs with seven receptions for 103 yards in that contest, but the injury suddenly jeopardizes his chances of building on that performance this weekend against the Giants. The Buccaneers will see what Godwin can (or can't) do at Friday's practice before providing further clarity on his Week 11 status. Godwin didn't practice Wednesday due to an ankle injury, Greg Auman of The Athletic reports. 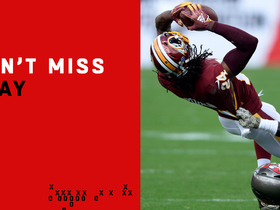 Analysis: The absence comes just days after Godwin posted a season-high 103 yards receiving versus the Redskins, during which he caught all seven of his targets. He may be getting held out Wednesday as a precaution, but his activity level should be monitored closely as the week goes on to learn if he's at risk of missing Sunday's game against the Giants. Godwin (undisclosed) wasn't present at the portion of Wednesday's practice open to the media, Scott Smith of the Buccaneers' official site reports. Analysis: Since he was selected in the third round of the 2017 draft, Godwin has been active for all 25 possible games in his career. The reason for his absence Wednesday is unknown, but an injury has yet to impact his gameday availability through one and a half seasons. Godwin caught all seven of his targets for 103 yards during Sunday's 16-3 loss to Washington. He fumbled during the game, but it was recovered by the offense. Godwin brought in two of three targets for 40 yards in the Buccaneers' 42-28 loss to the Panthers on Sunday. 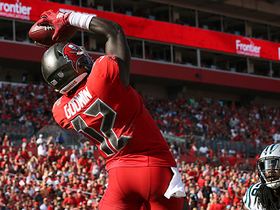 The best catches from Tampa Bay Buccaneers wide receiver Chris Godwin in the 2018 season. NFL Network's Michael Fabiano reveals five players you should play in the flex spot in your fantasy playoffs in Week 14. 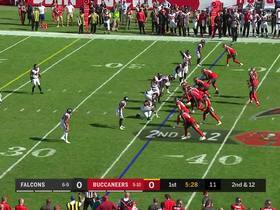 Tampa Bay Buccaneers wide receiver Chris Godwin shows burst on this 48-yard catch and run. Tampa Bay Buccaneers quarterback Jameis Winston high-points a 13-yard touchdown pass to wide receiver Chris Godwin. 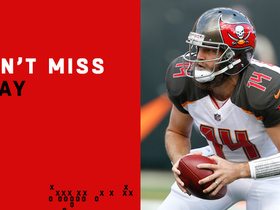 Tampa Bay Buccaneers quarterback Ryan Fitzpatrick brings the Bucs all the way back to tie the game late in the fourth quarter.